We flied to Takamatsu with cheap tickets ! 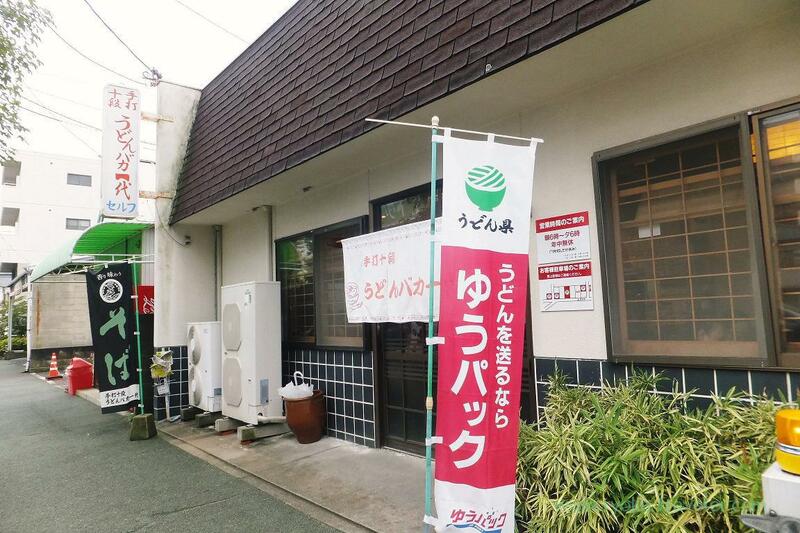 I went to Takamatsu of Kagawa prefecture to eat Sanuki udon last weekend. By Spring Japan Tokyo/Narita – Takamatsu that is decided to be suspended by the end of this October. I was very surprised why does they have to suspend this flight because almost all seats were occupied. But I was aware of the reason at Narita airport slightly. Many of them were Chinese ! 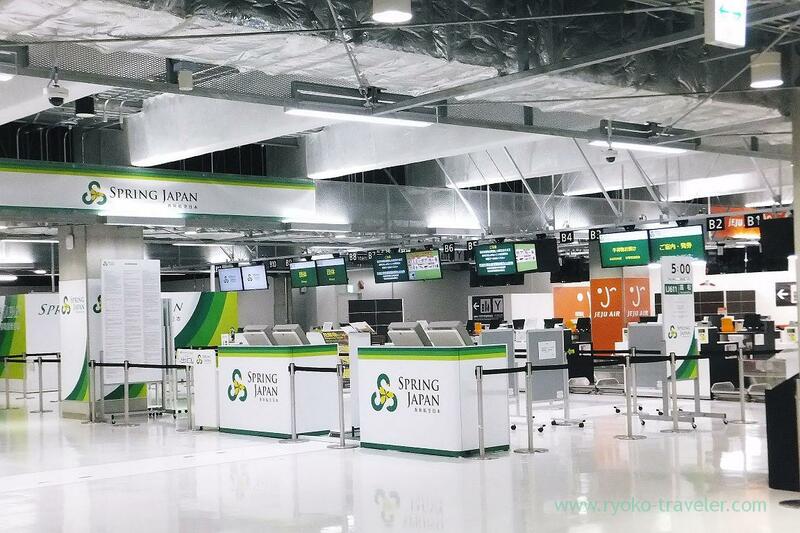 And when we got to Takamatsu airport and I was sure of it. Every Chinese disappeared. Maybe their goal was China for going back home via Takamatsu. There are not many people who want to use this flight for visiting Takamatsu and tour company (or Spring Japan itself ?) get unsold tickets at a low price and sell Chinese tourists at lower price. After we got out of the arrival gate of Takamatsu airport, we bought a bus ticket to center of Takamatsu city. It took about 40 minutes from the airport to Kawaramachi that is busy stores and restaurants area of Takamatsu. From the bus stop, we walked to the first udon shop 🙂 My stomach was empty because I didn’t have breakfast yet. The time was around 9 a.m ! To tell the truth, I had never thought that such a day has come. The shop is larger than expected. At first, we took the tray and followed the line along the pick-up counter. 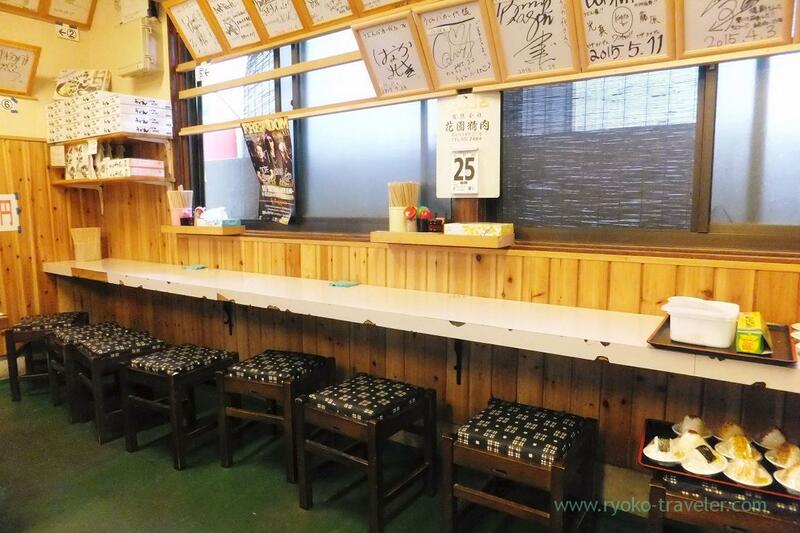 And then we ordered our udon and put tempura and onigiri that we wanted to eat on the tray. After the cook put udon on our tray, we payed for all on our tray. 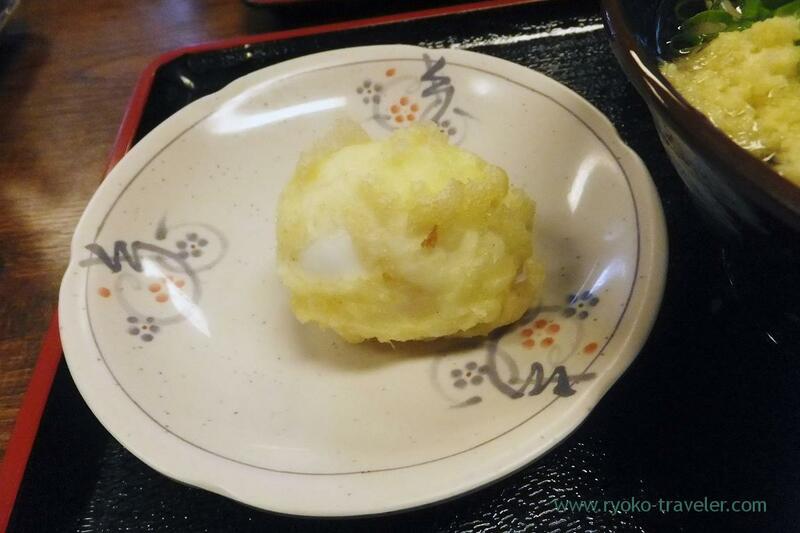 I ordered a cold kake(cold udon with cold soup) called Hiyakake and half-boiled egg tempura. I tried to break the egg for taking the photo, but I couldn’t break well. The yolk was almost raw, but the outside was well-cooked. I cannot help ordering it whenever I find it at udon and soba shops. The cold soup had plenty of dried young sardines. The color is weak, so it looked tasteless, but it had much flavor of dried young sardines named Iriko. I didn’t put tenkasu on my udon because I didn’t want the clear soup got oily. I think this was the right decision. My friend ordered this. 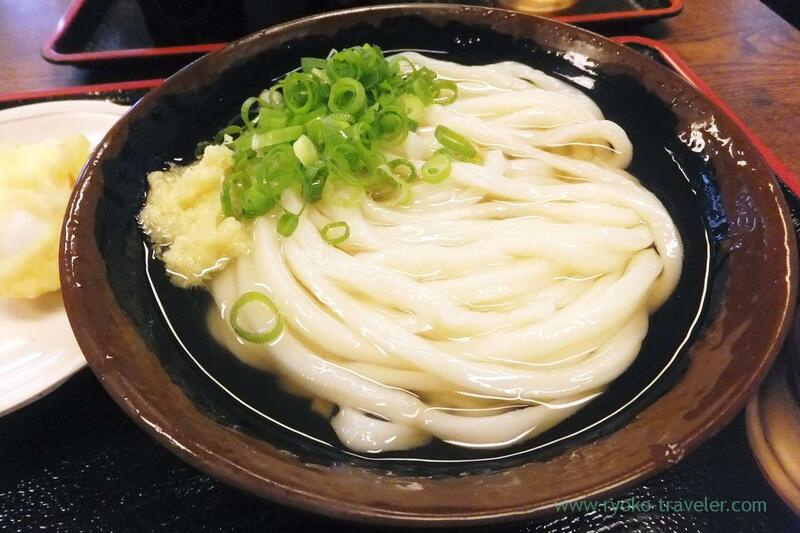 Small size of Kama butter udon (釜バターうどん小) 490 yen. 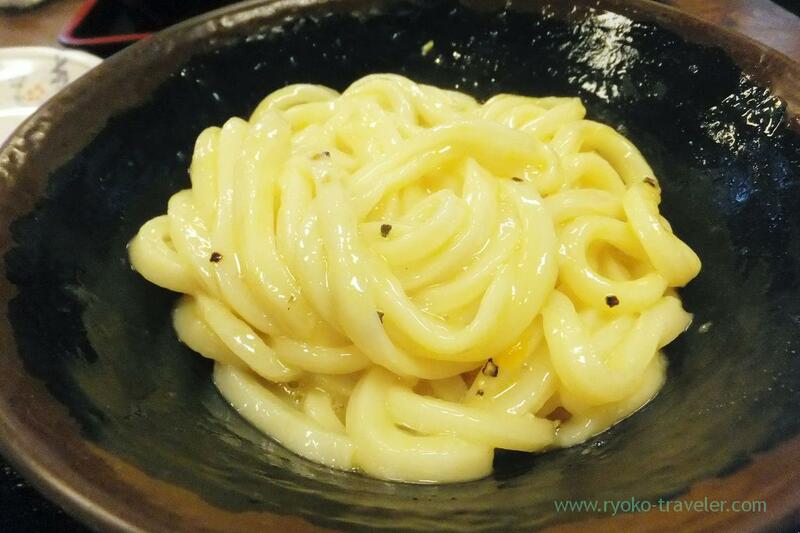 Kama butter udon is served udon with plenty of black pepper and butter, soy sauce, and raw egg separately. Eater break the egg and put on the udon and mix altogether well. 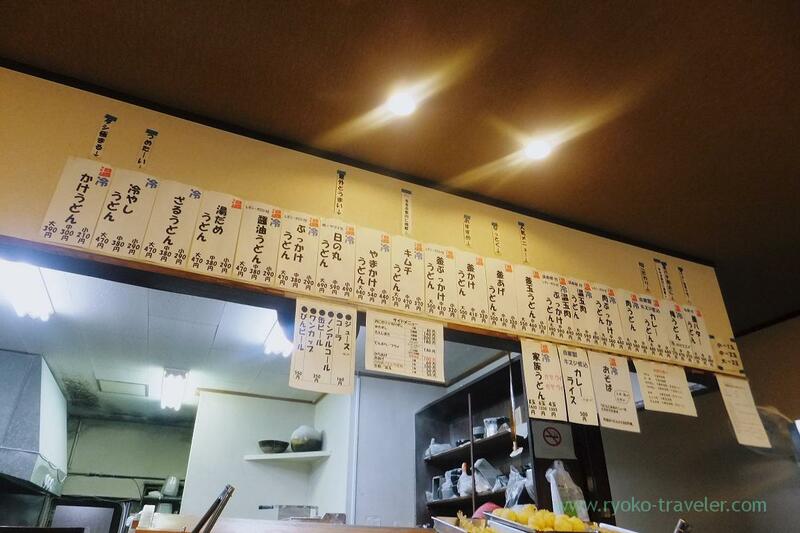 Udon that have “Kama” in those names take more time to be served than another udon. While he was waiting, I was enjoying my udon. And he took much time to take the photo. But somehow, he finished eating faster than I 🙁 Oh my. Then we went back to in front of Kawaramachi station to take a rest.